Passenger Rail Agency of South Africa board chairperson Khanyisile Kweyama says the agency has begun instituting disciplinary charges against those implicated in serious allegations of maladministration. Kweyama said the board had finally tabled the 2016/2017 report to Minister of Transport Blade Nzimande which showed a whopping R928m loss - a 68% increase compared to last year. The much delayed report also showed a 12% revenue slump to R2.9bn. Fare revenue slipped from R2.7bn the previous year to R2.3bn, amid safety concerns on trains. "The financials depict a business that is bleeding, an organisation that is broken and demands immediate intervention," she said. Operating expenditure went up by 15% from R9.2bn to R10.6bn, while fare revenue also declined by 14%. She described the company's financial situation as "untenable", demanding drastic measures which prompted the management to come up with a ten point rescue plan. The plan is focused on arresting the current financial decline and implementation of stricter governance controls. Kweyama said the state-owned agency was in the process of finalising its 2017 report, saying there were only a "few tweaks" that were still being worked on. She said the board had identified leadership challenges as one of the key areas which contributed to the delay in the release of the annual report. "We have an interim CEO, and almost 50% of exco members are on an acting basis. These are things we need to fix as we turn around the agency." Interim CEO Sibusiso Sithole said Prasa was not just a "broken organisation", but "an organisation that is in ICU". "We are an organisation that is struggling to survive," Sithole said. He said the challenges are largely in terms of governing issues and that "internal controls have fundamentally broken down". Sithole said disciplinary proceedings against employees implicated in the Public Protector and AG report will begin in October. He said ten people were facing disciplinary action, although some had since resigned, and that they were working with the Hawks as well. Sithole said as part of turning around the agency, management was looking at reviewing its "fragmented organisational structure". "We are looking at reviewing the business and the operating model of the organisation and strengthening internal supply chain management systems," he said. 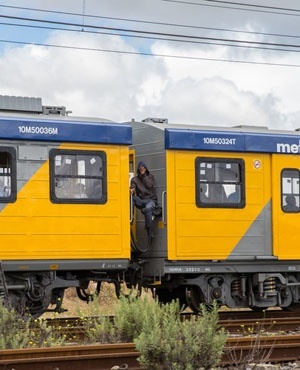 The state-owned agency has been rocked by massive tender irregularities, with Transport Minister Blade Nzimande telling parliament in June that "Prasa has been like an ATM". In August, a leaked Auditor General report revealed tender irregularities at the agency. The DA, which made the 118-page draft report available to the media, said then the 36 tenders sampled by the AG had irregularities in the selection of a service provider and followed a "questionable" bidding process.